The past year has seen a variety of different weird and bizarre happenings all over the world. Here we share some of the most cringe-worthy and interesting stories of the year. 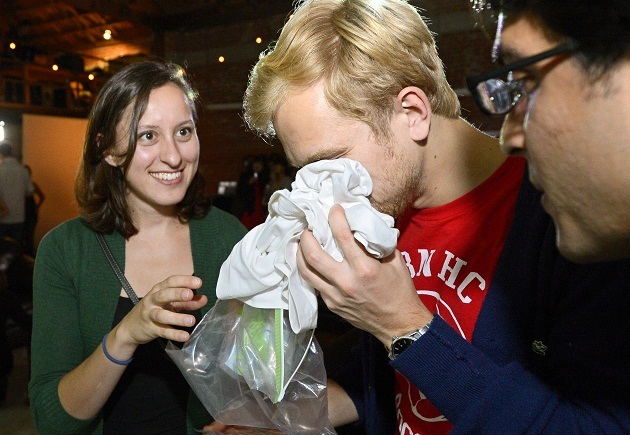 Back in July, a bar in east London hosted a “pheromone party” – an alternative dating trend based on the idea that smell plays a key role in the choice of a sexual partner. Each person agreed to wear the same cotton T-shirt for three nights in a row, with no deodorant or perfume, and to bring it to the party. The clothes, infused with the pure scent of the wearer's body, are placed in transparent plastic bags with numbers on colored labels — pink for women, blue for men. Back in October, doctors spent four hours removing a large facial tumour from 17-year-old Grace, who had basically been living next to a big piece of herself since 2004. The growth attached itself to the teen's, who hails from the Democratic Republic of Congo, jaw. Despite its size, however, the tumour has not prevented her from being able to eat and breathe, according to a clip from TLC UK's Body Bizarre program. After a six month recovery process, th Grace will receive artificial teeth in order to help her chew. In May, new father Nick Baines walked out of the hospital along with his wife and newborn son, and a takeaway bag of her placenta. 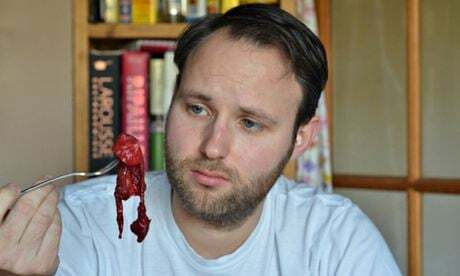 The British journalist decided to take part in placentophagy (the act of eating placenta, or afterbirth) which has been generating lots of buzz in recent years. The placenta is said to be packed with iron, vitamins B6 and B12, giving 'diners' more energy and supposedly helps combat postpartum depression, though scientific evidence has yet to corroborate this. Baines decided to cook up the placenta and place it in a taco: “It was tender, kind of like brisket,” he later said. 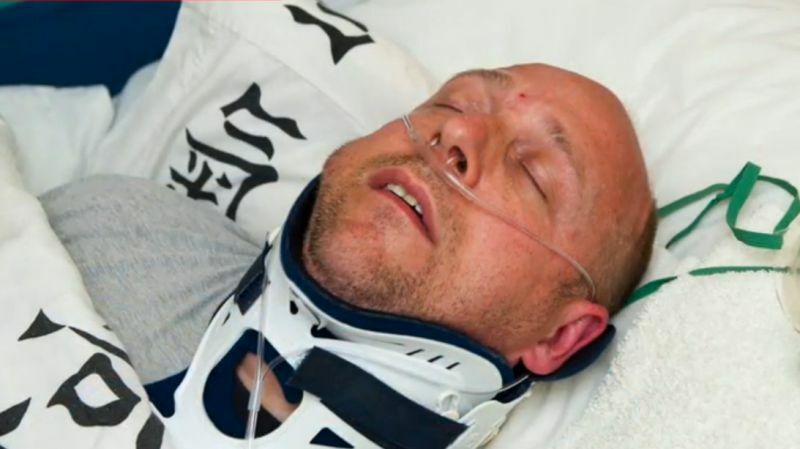 Back in late October, Briton Alan Knight was outed for pretending to be quadriplegic and in a comatose state for over two years just, bilking his elderly neighbour out of £40,000 in the process. Knight lived off of disability benefits at his home in Swansea, South Wales, “hooked up” to an oxygen tank and received “care” from his wife Helen who was in on the scam. He was named the care taker for his neighbour Ivor Richards and systematically drained the money out of his bank account. We was caught after Investigors collected CCTV footage that showed Knight walking on a bridge. 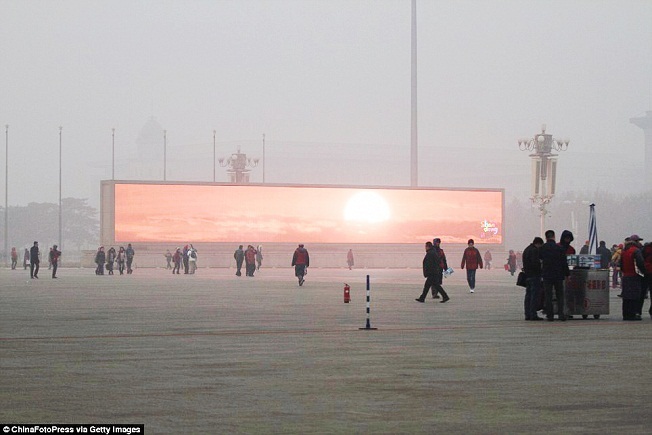 In January, the smog in Beijing had become so dense and thick that Chinese authorities resorted to broadcasting live sunsets on huge TV screens throughout the capital. The screens normally advertised the latest products and attractive tourist destinations. Although smog readings are usually high in the Chinese capital, readings on January 16 were startlingly high – particles of 250 micrograms pollution (25 micrograms is considered a safe level by the World Health Organisation). Visibility was as low as a few hundred metres.